As we ready ourselves for SATs, our learning this term in Asteroids will continue to focus on the topic of World War 2. In English we will explore Holocaust poetry and complete several extended pieces of writing, relating to aspects of the war. In Maths we will explore algebra and statistics, and also identify any areas of individual development in preparation for May. Our topic in science is light, where we will be exploring how we see things through an understanding of how our eyes function. We will be creating some fantastic models of spitfires in Design and Technology which the children will eventually be able to take home. In RE we will learn about the importance of Easter for Christians and reflect upon ideas of rebirth and new life. Finally in PE we will be making the most of the improving weather and spend as much time outside, learning hockey skills. This term we are focusing on the theme of WWII. We will have a visit from History Off the Page where they will experience life in a 1940s classroom. We have already started exploring Michael Morpurgo’s Friend or Foe and will be writing diary entries. WWII will also be explored in other areas of the curriculum, such as RE and studying pre-war Jewish life, impossible choices and how and why Jewish people were subject to Nazi prejudice. In Dance in PE we will be focusing on creating contemporary dance inspired by the Blitz. This half term has been busy for Asteroids. The students have been busy developing their writing skills. In Topic they have enjoyed writing a biography based on the Victorian Scientist Mary Anning. They also created their own scary Halloween story. There have been cross curricular links between English, Art, DT and Computing where students have created their own Flanimal. This was inspired by the Ricky Gervais book. Students worked hard to design their own Flanimal in Art, then transferred this onto the computer in a Scratch programme. In English they produced a piece of extended, creative and informal writing about their made-up creatures with their own language, strange features, personalities, strengths, weaknesses and habitats. Students enjoyed an afternoon with their parents who joined them in class. We were able to multi-task and created stunning WWII study sheets, with a silhouette and piece of writing based on just one aspect of the War. The students are looking forward to developing their knowledge of this after Christmas. In Maths the work has been more complex, however all students have been making progress completing work based on fractions, shape and algebra. Science has been a combination of theory and practical, most recently students conducted an experiment with yeast, sugar, water and a balloon! 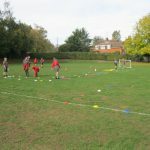 In PE they have enjoyed Basketball (learning skills such as dribbling) and gymnastics. Being the oldest in the school Asteroids have been relishing the responsibilities that come with this, they are fantastic role models. They all take on the role of play leaders and have been helping students in Reception and Year 2 with their reading. They have also been working with Mrs Wicks, touring new parents at the open days and delivering speeches. 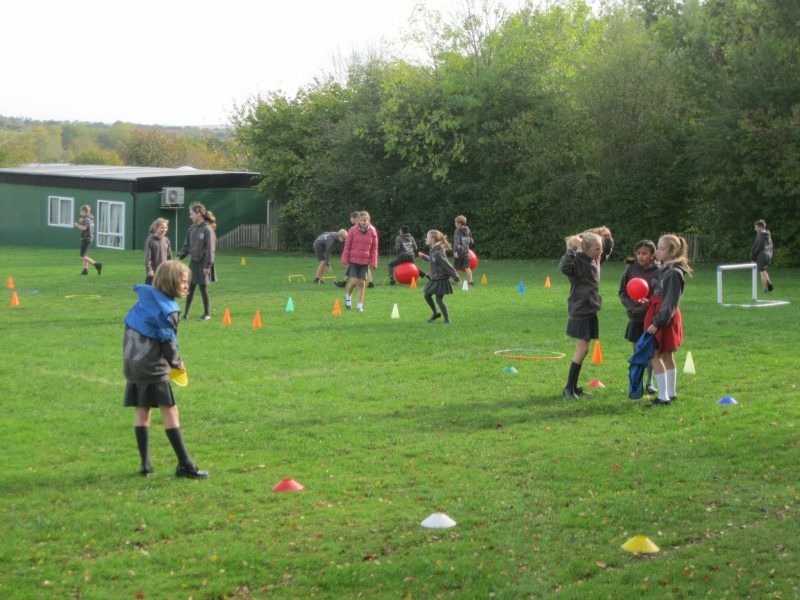 A highlight from the last day before October half term was the House Learning Day. I was particularly proud to see Asteroids working with the younger students so positively. As part of our work on classification and micro organisms, the Year 6 children worked on an experiment to see which water temperature was best suited to the respiration of yeast. 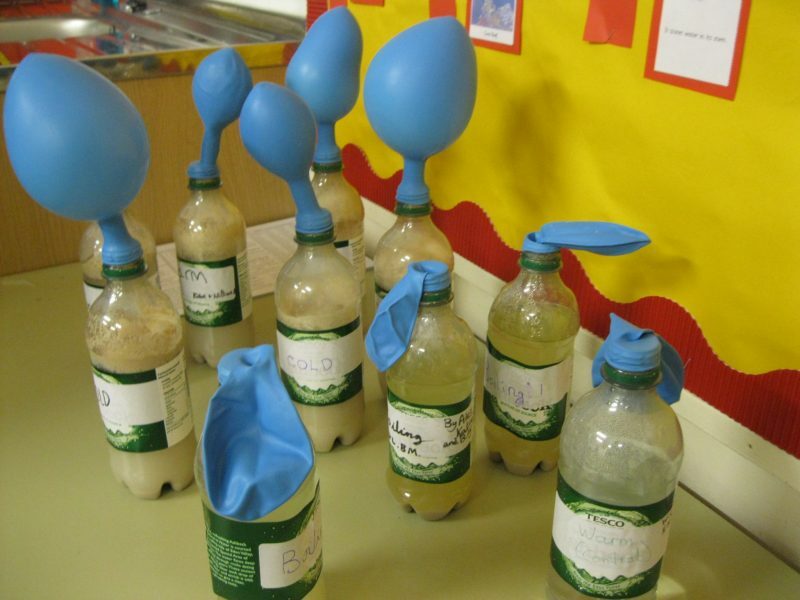 The children enjoyed seeing balloons inflate to varying degrees as the yeast produced different quantities of Carbon Dioxide in the bottles. 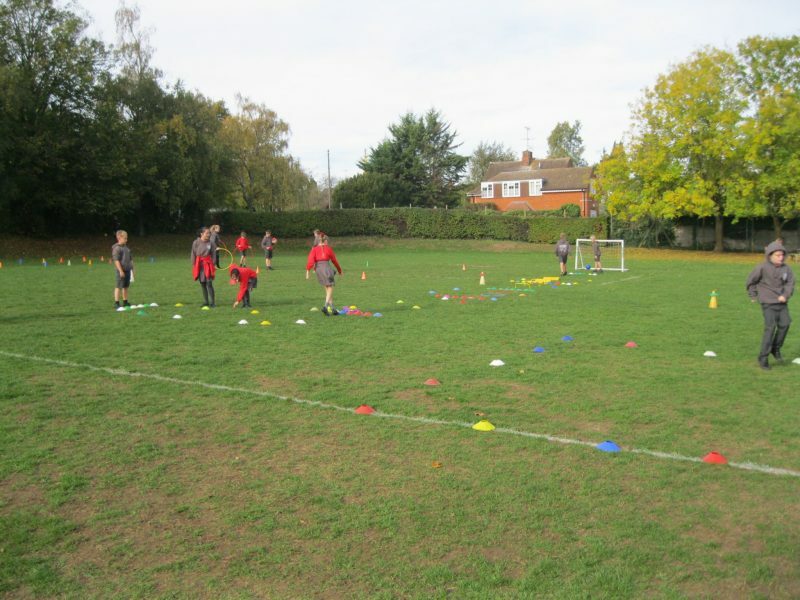 In the week before half term Year 6 spent the morning being trained as effective Play Leaders for the KS1 children. They discussed what made an effective leader and the types of activities that would work well for younger children. They then designed games and got to put their theories to the test with the Year 1 and Reception children. We have had an incredibly positive and focused start to year 6. In lessons we are already meeting the challenges and demands that year 6 requires. In English we have been studying the characters in the book Skellig and using personification to create a poem based on the derelict garage. In Maths we have been working extremely hard and already covered topics such as place value, up to 13 digits (hopefully not unlucky), reading and writing numbers, multiplying and dividing by 10,100 and 1000 and ordering numbers up do 3 decimal places. Asteroids have worked hard on creating an incredible range of topic projects. Biomes of the world have been successfully explored using detailed Power Points, and represented in drawing, collage and modelling. There are some very talented artists in the class whose work is beautiful, bold and vibrant – we hope to have some on display to be appreciated by all very soon. Indoor PE has been based on Bollywood and links to the students RE topic. After seeing the quality of their dance performances, I’m sure they were able to take the disco by storm in Caythorpe! The students from Asteroids and Aquilla have enjoyed an excellent team building opportunity when they visited Caythorpe Court PGL site. 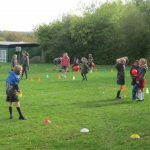 The children took part in outdoor and adventurous activities that included abseiling, quad biking, fencing, raft building and a variety of climbing activities. Many of the PGL staff commented on the politeness of the children. The students remained enthusiastic all week and many really pushed themselves to overcome and exceed their own personal targets.